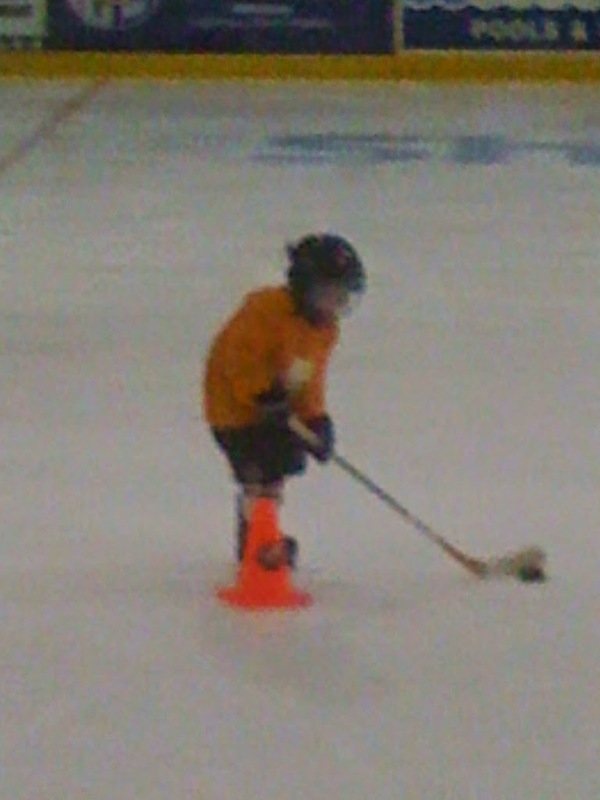 Fynn began hockey school this week (after finishing up soccer camp last week - the kid has quite the life)! The first day was a bit rough - getting used to the equipment, skates, things that rub. Once he got on the ice and had some tumbles there were a few tears, and a "I don't want to do this." It took some encouragement but he went back out. He has a great female coach who really encouraged him. Vic took him today (day 2) and it was much smoother. Fynn is finding his groove. He is a tenacious kid. And I can't stress that enough.